Claire’s dedication to the emerging Spirit of humanity is the heart of her voice as host and producer for Lighted Paths Radio. She is also remembered for her LIME Radio program “It’s All Good” which aired coast to coast on Sirius XM Satellite Radio, as well as her ground breaking work as a host and producer of “Wisdom Today” on the Wisdom Network, the very first network focusing on body, mind, spirit, and earth programming. Claire is also a contributing author to the book “When Ego Dies,” was a columnist for nearly 6 years for Indigo Sun Magazine with her highly acclaimed "Joyful Earth Partnership" articles, and is featured in the books The Art of Manifesting, and Angel Tales. She can be heard as the voice of Mother Mary in the best selling audio book “Mary’s Message to the World” by Annie Kirkwood, and produced and sings on the popular healing meditation CD Mary’s Lullaby. 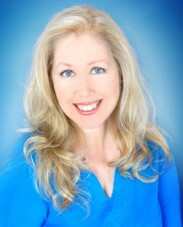 As a co-host and co-producer on TV’s “Healthstyles” Claire was among the first pioneers to bring holistic knowledge to viewers across the nation. For nearly 30 years Claire has been appearing in film, TV and radio. Her production of the audio book Soulstream: The Mancer Epic is an International best seller, and her story consulting on the award winning documentary feature film Elephants in Motion can now be seen on Amazon Prime, as well as other multimedia platforms. Claire believes in the positive transformational effects of sharing inspirational stories. Her latest book, "Mary's Miracles and Messages - a True Story of a Visionary's Journey," is now available online in paperback and ebook on Amazon, Barnes and Noble, and Borders. Highly trained in the healing arts and peer counseling, Claire worked along side and studied with one of the worlds most beloved healers for over 18 years in vibrational healing, and spent several years apprenticing in the Toltec teachings. Her best education, however, she insists is her inner time spent with nearly 15 years of visitations from Angelic beings and Mother Mary. She has journeyed into remote mountain villages and jungles, pilgrimaged to “miracle” sites, ancient temples, and communed with diverse cultures around the world to enhance the many experiences taught her on many soul levels. Passionate about inspiring the human potential to reach deeper levels of stewardship for our living Earth and Universe, blended with her vision for the people of Earth to live together as a global family, and connect in a way that nourishes us all, Claire has traveled the U.S. and abroad as a speaker, workshop presenter and intuitive vibrational healer since the early 90s. She has also coordinated relief projects for children including “To Bosnia with Love” and “Shoes for Orphan Souls,” worked on the staff for Earth Day events, served as a Red Cross volunteer, and has been a national speaker for the Random Acts of Kindness Foundation. Claire’s mission also includes her work with the children. She has served in youth ministry, has taught workshops for youth and parents to support and preserve the children’s own sense of wonder that will compel them to continue exploring the world with new eyes. She holds them as a big part of the movement of the new pioneers and explorers. Encouraging them to maintain their uniqueness, purpose, and contribution to making a difference, Claire hopes to nurture their innate wholeness, and support their unfoldment as leaders, not just of tomorrow, but even more important as leaders of today.